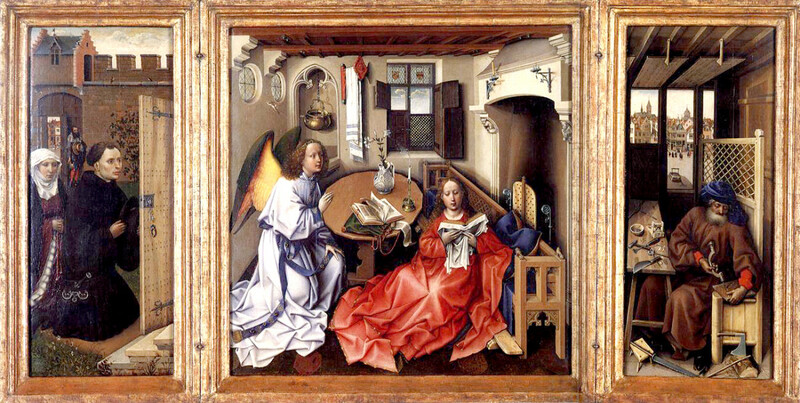 Alessandro Filipepi was born in 1445; the perfect time to be an artist. For the first time in hundreds of years, writers, poets, sculptors and painters were once again admired and respected. Culture was returning, and young Allessandro had the opportunity to spend an inordinate amount of time with the artists who frequented his brother's workshop. Botticello, Allessandro's older brother was a gold pounder. 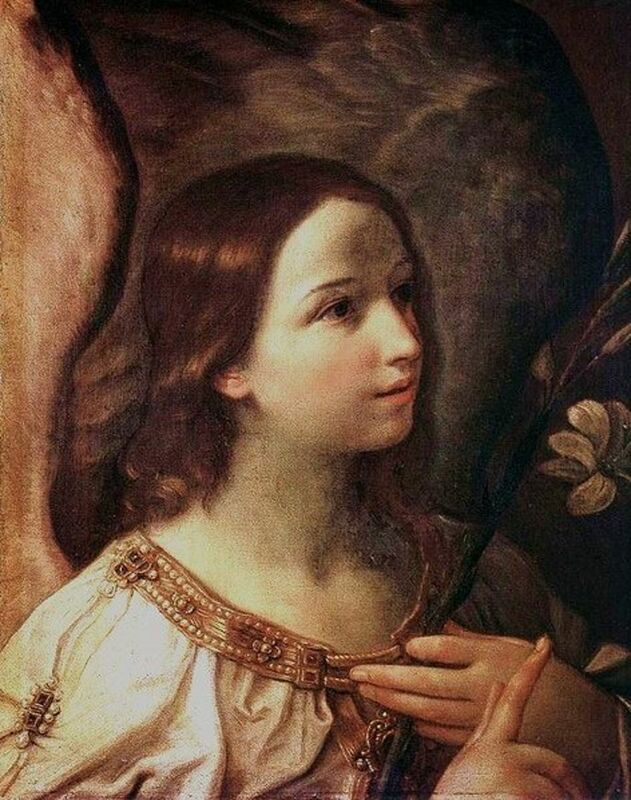 He "pounded" gold onto picture frames, and he added gold to the paintings of others (halos and angel wings). His younger brother watched, learned, and then began his own experimentation in the world of art. 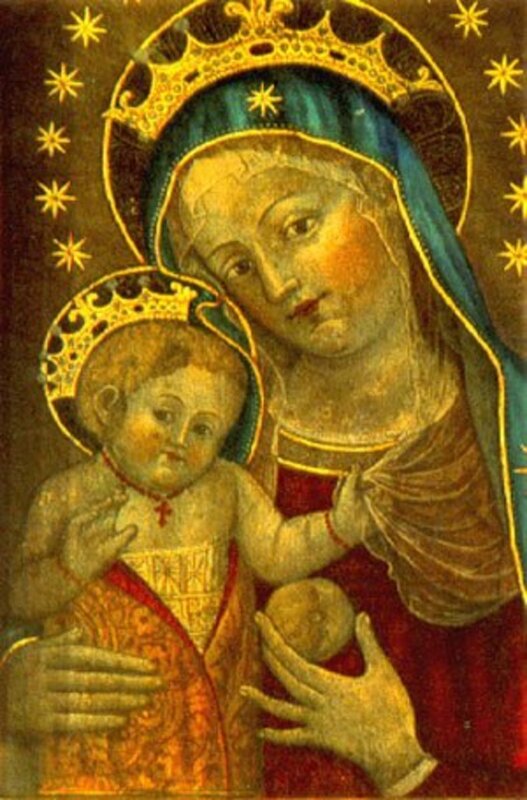 As a young teenager, Allesandro was sent to apprentice in the workshop of the master painter, Filipo Lippi. 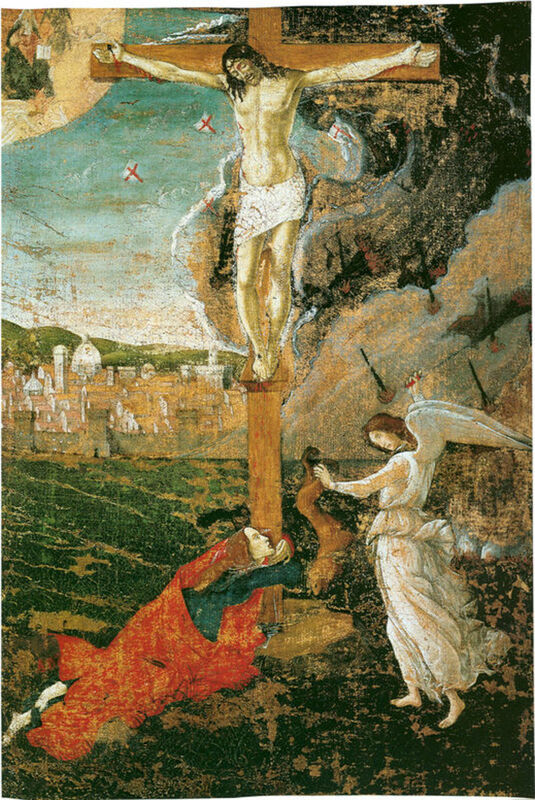 It was there that he assisted Florence's greatest artist, and in turn, learned to mix colors, clean brushes, and prepare walls (frescos) for painting. He learned to draw; he learned to paint, and through the imitation of his teacher he found his own niche. 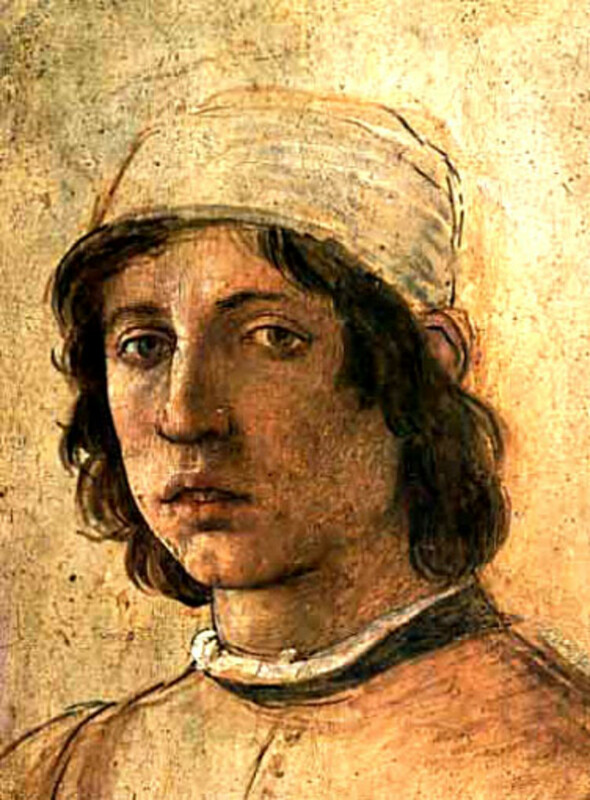 His paintings evolved from looking very similar to Lippi's own, to becoming the paintings of someone who'd earned both his own name and his own glory; Allessandro Filipepi became Sandro Botticelli. The Renaissance was a time of discovery and exploration, and Botticelli's time in the Lippi's workshop allowed him the chance to do both; he explored, and through that exploration he discovered. 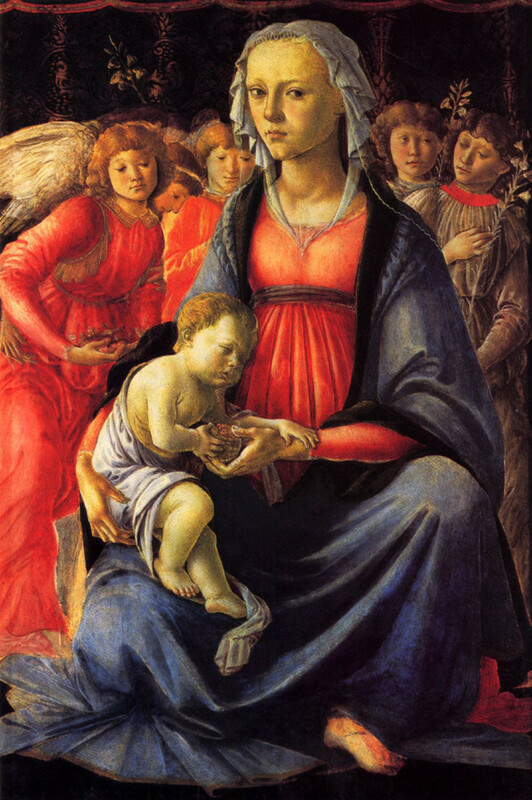 Influenced greatly by his teacher, Botticelli's initial artwork mirrored his master's. The colors, pale and muted; the meticulous flow of a garment; the faces full of life and beauty. 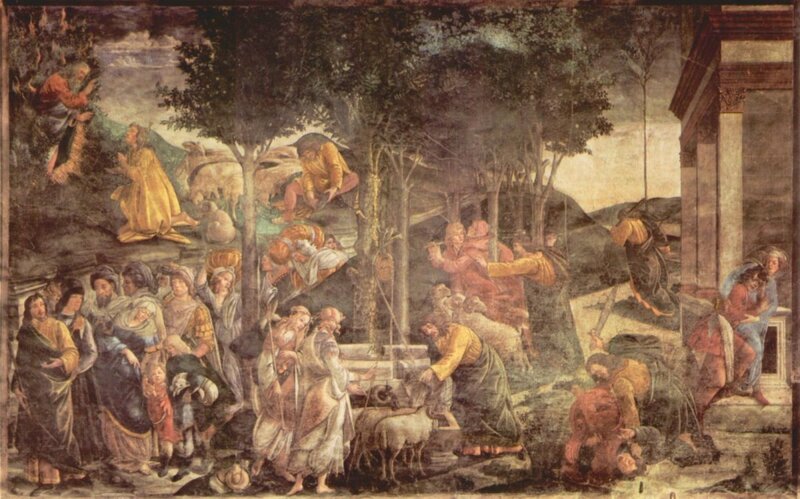 All of these techniques were similar to Lippi's, but as time went on they became his own; he became an individual, and he became a true artist. 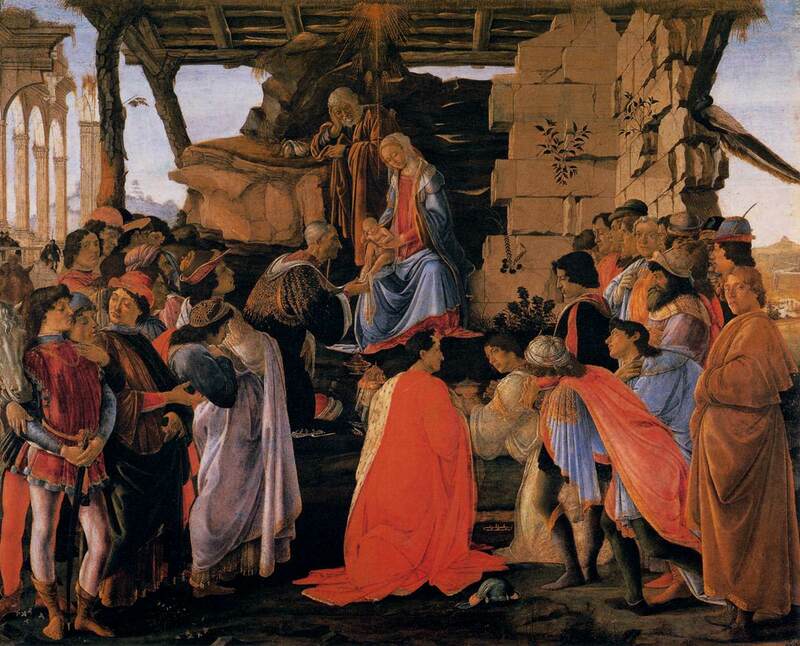 There were many artists in Florence, and Botticelli studied and learned from each of them. He was surrounded by greatness, and he spent hours earning his own. 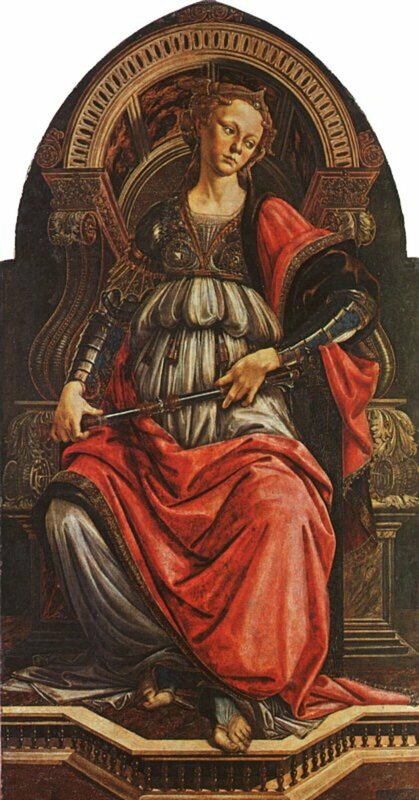 At the age of twenty-five Botticelli completed one of the first paintings that he was actually paid for, a panel that would reside in a meeting room frequented by the most important men in Florence; the painting was called Fortitude. Before long, Botticelli became Florence's favorite artist; he had no equal in his talent for mixing colors; he is in fact, one of the greatest colorists of all time. 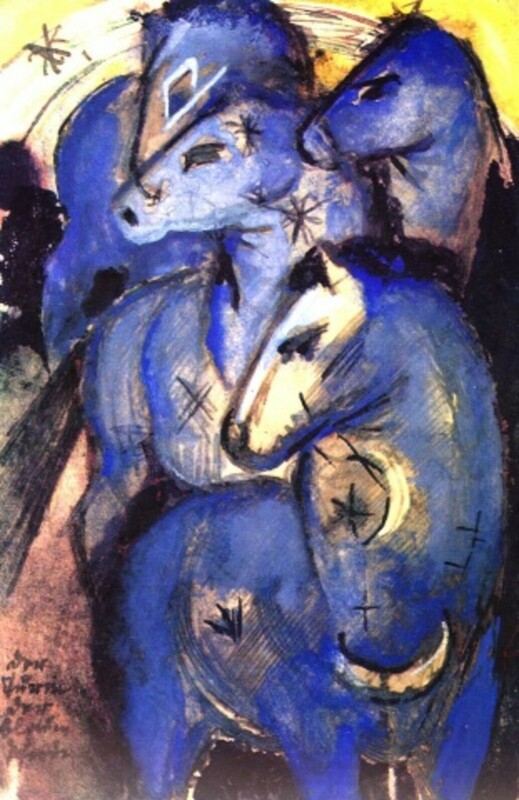 He was also a master of the rythmic line, using his paintbrush to outline the figures in his paintings. In doing this he used his paintbrush in the way we would use a pen or a pencil, and he believed these lines added a feeling of fluidity and movement. Lorenzo de Medici was one of Botticelli's most famous and wealthiest patrons. Medici showed great interest in the artist and encouraged his friends to do the same. Because of Medici's patronage Botticelli had more work than he could handle, and it wasn't long before he found himself hiring other artists to help him keep up with the demand. His assistants not only helped put on the finishing touches, but would sometimes make copies of them as well. Unfortunately, some of his assistants took their copying a bit further than they should have by copying and selling Botticelli's work without his permission. Today, even experts find it hard to tell Botticelli's originals from the forgeries; he must have been an excellent teacher. Botticelli separated himself from his peers in that his art took on what he imagined to be "ideal." Other painters of the Renaissance looked to the ancient Greek and Romans for inspiration. 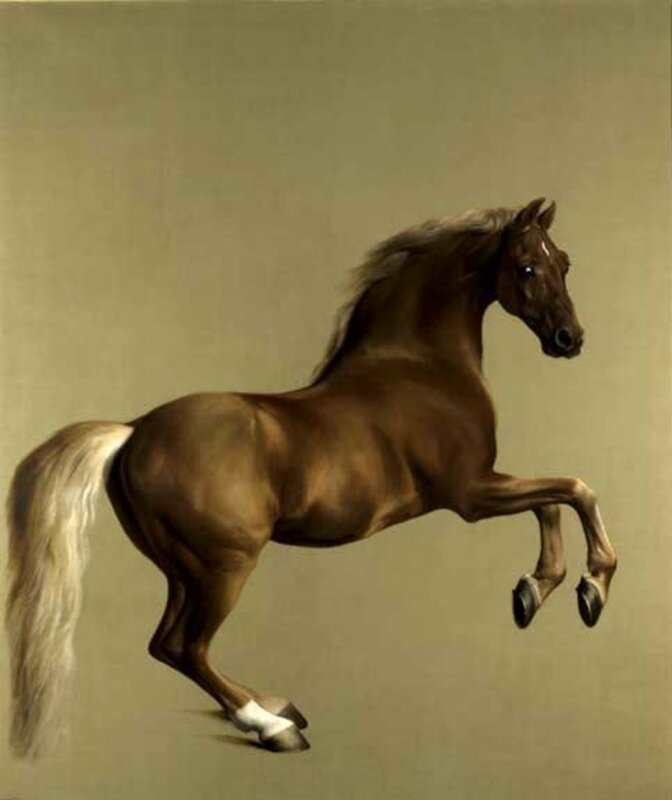 They studied science, nature, and the human body so that their paintings and sculptures would be as realistic as possible. Rafael, Leonardo, and Michelangelo used perspective in their paintings, something that gave their artwork a three dimensional feel. Botticelli had no use for perspective, and he placed his own focus on that special kind of beauty seen through the imagination; it was the beauty of fantasy. His work may at times seem flat, and his portrayals may sometimes not seem quite as realistic as the next master, but a master he was, and his paintings are indeed beautiful. 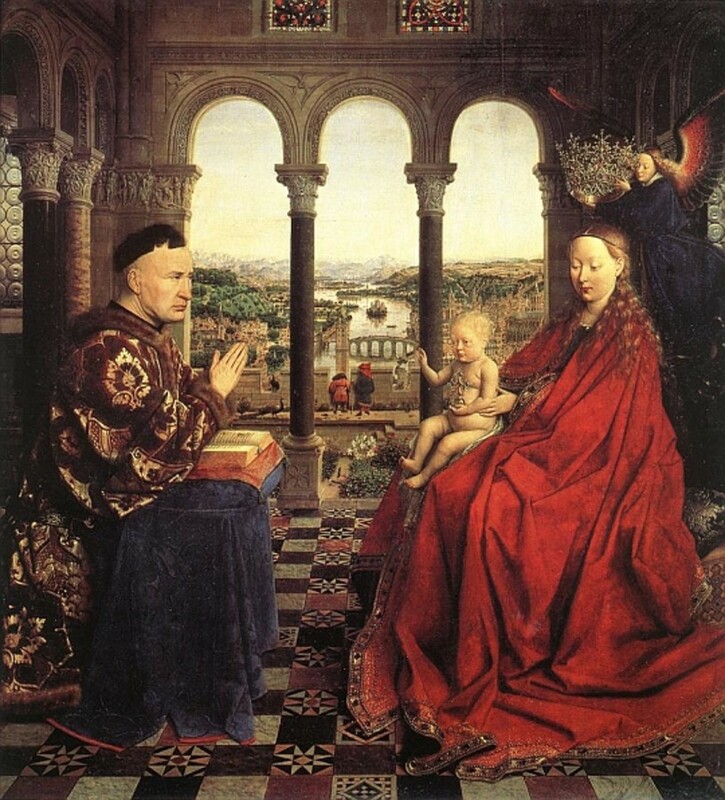 During the Renaissance, rulers and families of importance like to show off their wealth through their possessions, their homes, their clothes and the people they chose to associate with. Sometimes, families even competed with each other to be the patrons of the best painters, architects, and sculptors of the time. Ironically, it seems that some things never change. Botticelli was also well known for his paintings of mythological creatures, gods from the ancient Roman and Greek cultures; he loved depicting the fantastical images of the otherworld, and the people of the Renaissance were interested in the stories he had to tell. The paintings Primavera and the Birth of Venus are the perfect example his lighter side; they're like poetry, just sit back and enjoy.......... Primavera belongs to Venus, the goddess of love as she celebrates the coming of spring with Cupid and the host of nymphs and gods that surround them. The Birth of Venus once again finds what seem to be Botticelli's favorite goddess balanced on the tip of a seashell as she's blown towards the shore; the other characters in the painting seem to be floating as they help her along on her way, seeing her safely to wherever it is she wants to be. Botticelli was a Florentine, and the love he had for his home can be seen in the fact that in all of his life he only left the city of Florence once to visit Rome. His stay was brief, but what he accomplished while there was history. In 1481, Botticelli traveled to Rome at the request of Pope Sixtus IV, and it was there he joined a number of other Florentine and Umbrian artists who'd been summoned to fresco the walls of the Sistine Chapel. 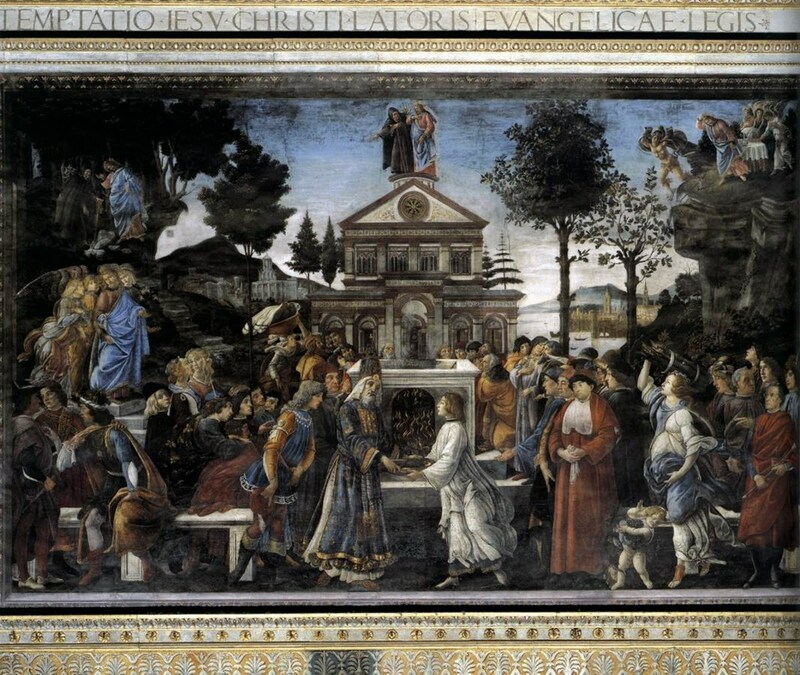 Botticelli was denied any input as to the content of his artwork, but before leaving the Vatican a year later he had completed three major frescoes; The Youth of Moses, the Punishment of the Sons of Corah, and the Temptation of Christ. Aside from these three very important works, Botticelli also completed at least seven papal portraits which were hung in what was called the "window zone." During Botticelli's lifetime he created a multitude of religious paintings, but as I've already stated, there was a part of his artistry that leaned towards tales of mythology, and the mysteries of the imagination. 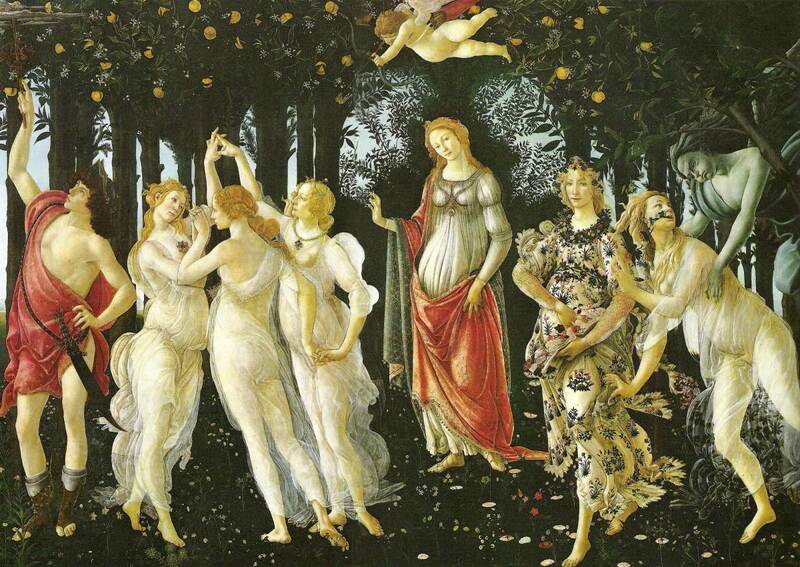 In the 1490's, things in Florence changed and so did Botticelli. In his later years, Botticelli became a follower of the Dominican Priest Savonarola, and the priest's influence transformed his life. 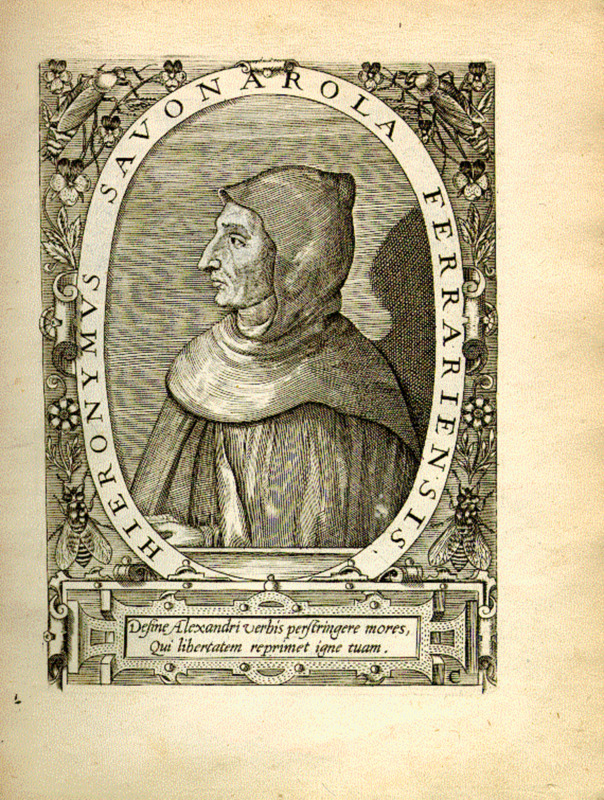 Savonarola vehemently preached against the corruption of the clergy, encouraged book burning, and destroyed what he considered immoral paintings. 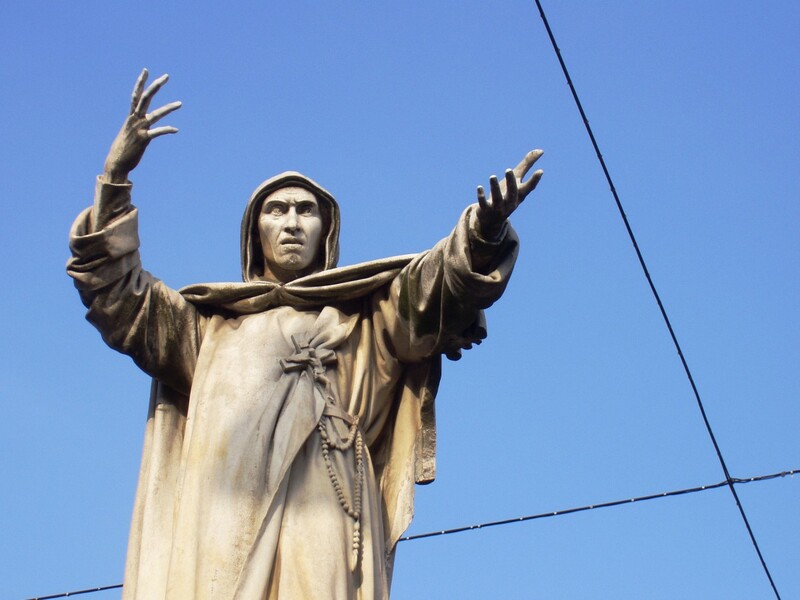 He became a leader in Florence, preaching against worldliness and excess. 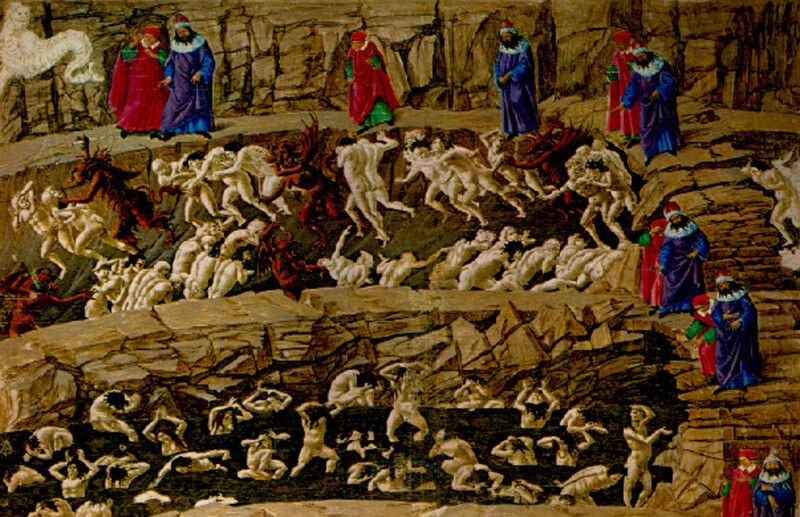 Botticelli embraced Savonarola, his teachings, and his beliefs to the extent that the burned many of his own paintings disgusted by their pagan themes. 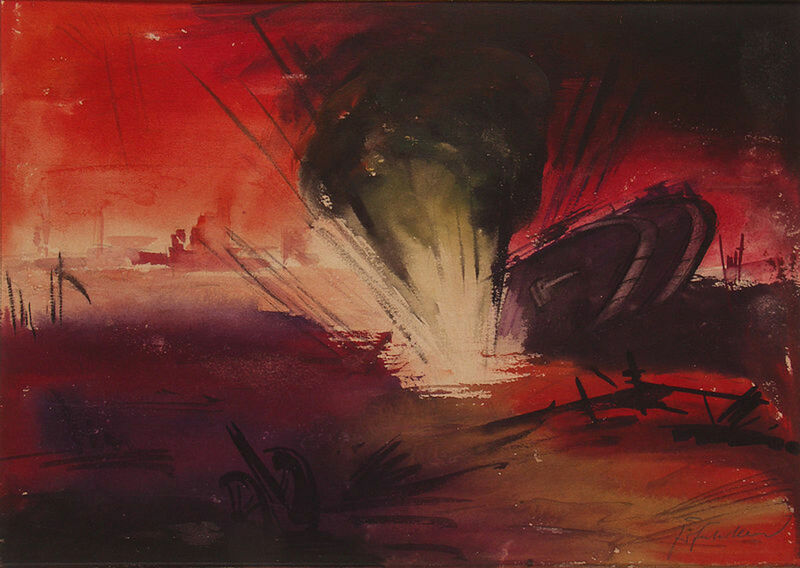 For awhile, he focused only on religion and the way he could glorify the creator through his art, but unfortunately, the time would come when he deserted his painting altogether. Botticelli died in 1510, at the age of 65, but he lives on through the legacy he left behind; it's quite a legacy. Botticelli's paintings were forgotten for hundreds of years before they were re-discovered during the late 1800's. Today, the newfound interest in his work has given us a beauty we'd never have seen without the intricate removal of dirt and extensive cleaning that his paintings have endured. How many artists have been forgotten, and how many have never been heard of? 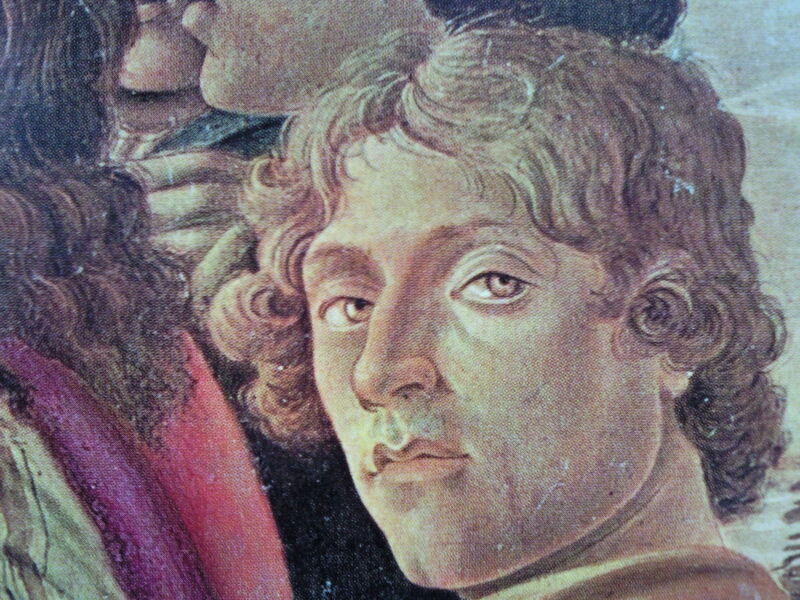 Botticelli, he may have been forgotten once, but I doubt he'll ever be forgotten again. I, for one, am glad he's back! Hello! baeakac interesting baeakac site! I'm really like it! Very, very baeakac good! I love Italian Renaissance art. This article is beautiful and so informative. And the paintings by Botticelli you included here are wonderful. Thanks for sharing you knowledge with us! Really interesting article. I so love Botticelli's work, and I definitely learned some new things about his life. 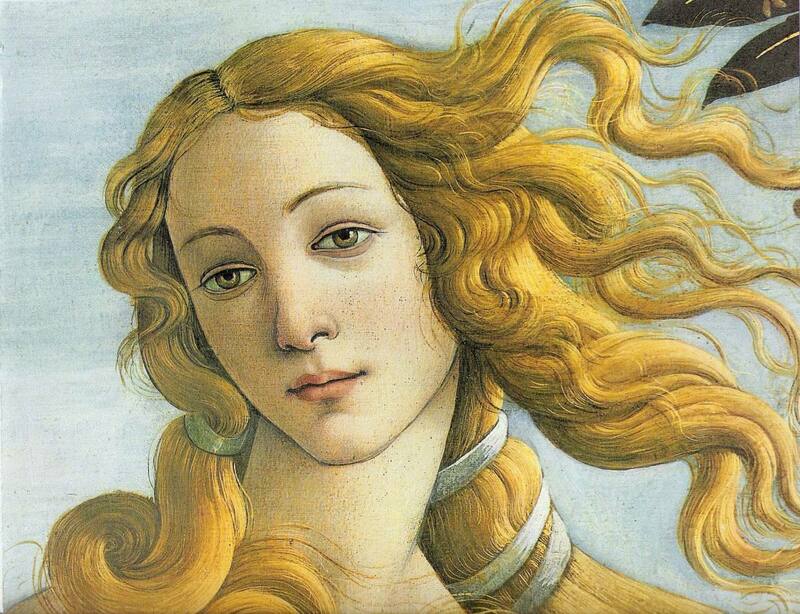 GmaGoldie- I too love Botticelli- he is one of the few artists that I've never found myself critiquing. I'm one of those people who often doesn't take in the painting as an entirety, you might say I appreciate one section at a time before stepping back to really look. 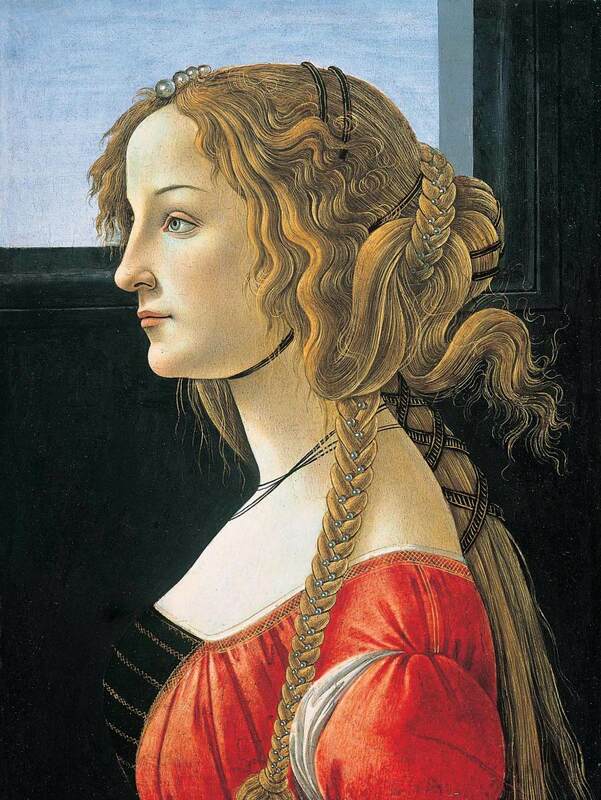 I have always loved Botticelli - what a great write-up for a great artist. I had no idea his works were lost up until the 1800's - fascinating how things change. Were they simply just out of favor? So many great pieces of art need cheerleaders. The Faberge eggs had no value until Armand Hammer explained the workmanship. The colors are stated to be almost impossible to replicate and if you study the eggs and view the replicas you can see that. Love sharing great art - so inspiring. Thank you very much! This hub has reflecting his life and beautiful work superbly. Venus and her hair are one of art's treasures. This makes me want to take a trip to Venice and Florence. I feel like a 'werewolf' for your hubs - I am always howling for more! And they're a feast for the eyes too - in particular this one!!! hypnodude- why thank you! I know you're not entirely crazy about the art Hubs; so I think that maybe it was Botticelli that got you! Glad you were here! Botticelli is undeniably a genius. I remember after going to an exhibit as a little girl I wanted to dress like a Botticelli girl for Halloween. So my mom and I found a lovely romantic dress and strung flowers through my hair. :) I still remember the strange looks I got from my classmates. Anyway I love your hub series on artists! You show classic examples of works and explain more than simple facts of life. PaulieWalnuts- Dream come true!?! I think it was probably even a bit better than that! Yes, I agree............. all artists should have that kind of respect. Romantic? Maybe............ but if that kind of respect existed.......... it's still there somewhere! Thank you for stopping by! Beautiful Hub! 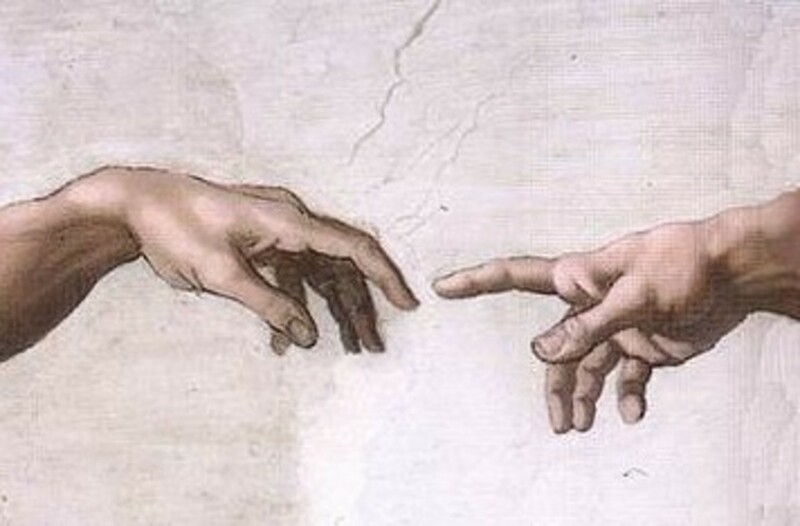 Wouldn't it be grand if today artists of all kind were treated with respect as they were in the Renaissance? Ahhh, a romantic notion I guess. 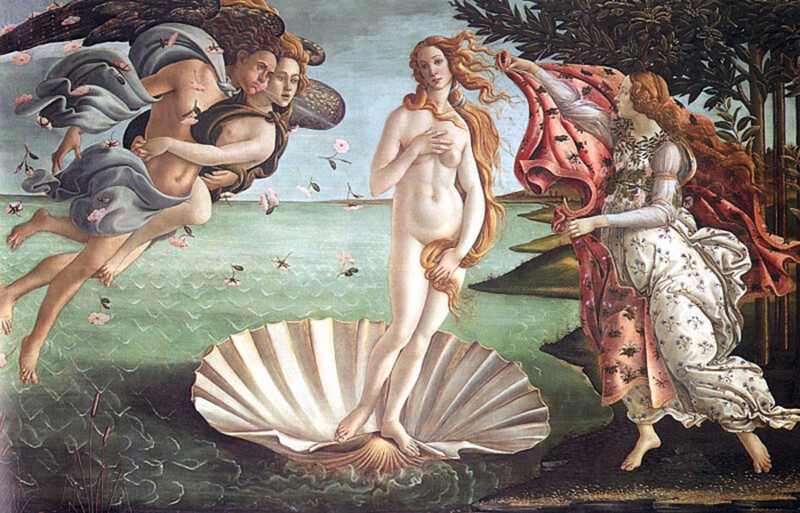 "The Birth of Venus" is so beautiful, the city of Venice, also beautiful, (Venezia) means Venus in Italian. I was there in Florence posing under that painting for a photo, it was a dream come true. sarovai- They are realistic, and I am happy to have reminded you. Glad you stopped by! Realistic look in these painting. Thank u for reminding the great painter. A piece of artwork in itself this hub is... well done and a new appreciation for the incredible collection of masters you have brought here for us all. katyzzz- Thank you. I think Botticelli gained immense inspiration from both religion and mythology, but think it sad that he later thought it necessary to burn many of the paintings he came to believe promoted paganism. What great art is born from religion and mythology, this is a great hub, an interesting lesson, with some great art pictures. This article—and the gallery—is fantastic. I learned many new things by reading it. I must thank you profusely for providing your own piece of art for the world to behold. habee- You can say that again......... people may not always have appreciated the family's politics, but their contribution to the arts is unquestionable. Think of all the masters they supported through their patronage; it's ineffable! His work is magnificent and so is your beautiful hub. I love his Birth of Venus! Thank goodness for the Medicis of the art world!